Sydney- M E Times Int'l: Thousands of Sydney residents are still without electricity after an intense burst of thunderstorms caused widespread power outages. Endeavour Energy on Saturday resumed work to restore power to a remaining 5700 properties which lost power on Friday evening. "There are nearly 300 electrical hazards needing repairs particularly where trees and large branches have fallen across powerlines," a statement said. 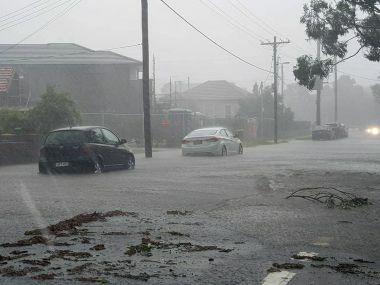 Nine people were rescued from floodwaters and more than 40,000 properties were without electricity after the storms across Sydney and the Illawarra and the Hunter regions. Flash flooding in Parramatta and other parts of western Sydney turned intersections to lakes and led several drivers to ask the SES for help. Sydney: The Morrison and Palaszczuk governments have upgraded grants for residents affected by ‘devastating’ record-breaking flooding in parts of North Queensland to $75,000, up from $25,000. Speaking in Sydney, Scott Morrison says the relief grants will draw from $100 million in Commonwealth funds, with an additional $3 million to supplement the Queensland Government’s mental health services. Mr Morrison says hundreds of thousands of cattle are likely to have been lost in the flooding disaster, threatening locals’ ‘very livelihoods in the complete other direction’ after transitioning from drought to inundation. Anyone who may be feeling distressed can contact the following organisations for support. Canberra: The damage bill in the wake of the Townsville floods has risen to $80 million as residents work to clear debris from homes, with over 6500 claims lodged according to the Insurance Council of Australia. Opposition Leader Bill Shorten visited affected areas commending the work of authorities and organisations assisting on the ground as well as demanding the government act swiftly to offer disaster relief. Authorities are warning residents to remain cautious in the clean-up effort with much of the mud contaminated with sewage. Canberra: The Federal Government will try to get the states and territories to agree to a plan for population growth at a meeting of treasurers in Canberra, but some states are sceptical about the Coalition's commitment to delivering on its promises. The meeting comes as the Coalition pledges $19.4 million in an attempt to entice migrants to regional areas, to address skill shortages outside the nation's capital cities. Ahead of the meeting, Immigration Minister David Coleman will announce funding to spruik regional areas as an attractive location for skilled migrants to settle. The cash pledge, over four years, includes expanding the use of designated area migration agreements (DAMAs), which lower the criteria for skills, language and income for migrant workers. Such agreements have already been rolled out in the Northern Territory and the south coast of Victoria. 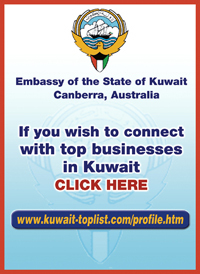 The Federal Government will also speed up processing of sponsored visas in regional areas. "Our skilled visa programs are about supporting Australian businesses and creating opportunities for more Australians," Mr Coleman said. "These regional initiatives will see the Department of Home Affairs work directly with regional employers and communities to attract migrants." Canberra: The Morrison Government is today announcing further measures to support families and keep children safe online. Prime Minister Scott Morrison said one of our Government’s top priorities was keeping our kids safe online. “Every mum and dad, including me and Jen, worries about our kids when they go online. It’s terrifying for parents,” the Prime Minister said. “We’ve seen too many tragic cases of online abuse and bullying. This new suite of measures will help keep our children stay safe online and support parents, community leaders and teachers to do our bit. Sydney: Thousands of new commuter car parking spaces have been completed along the Northwest Metro rail line, which will open to customers from Rouse Hill to Chatswood within months. Sydney: Sky News host Peta Credlin says hypocrisy is the one thing in politics voters can’t stomach. Ms Credlin argues the Opposition on Friday embedded hypocrisy into the party after accusing the government of playing politics with a committee inquiry into Labor's plan to remove franking credits. Ms Credlin says the issue is not that the inquiry is political. It is that the politics of Labor's franking credits policy is now becoming a real headache for the party. Melbourne: Gay conversion therapy is "bigoted quackery" and it will be banned in Victoria, Premier Daniel Andrews has announced at a pride march in Melbourne. The state government says the ban would be an Australian first and comes after an investigation by the Health Complaints Commission the practice resulted in long-term psychological harm and distress. The so-called therapy has changed and even cost people their lives, Mr Andrews said before joining the Midsumma Pride March in St Kilda on Sunday.